Situated on one of the premier corner lots within Sunset Ridge is this 3BDR/2BA/2CAR home. 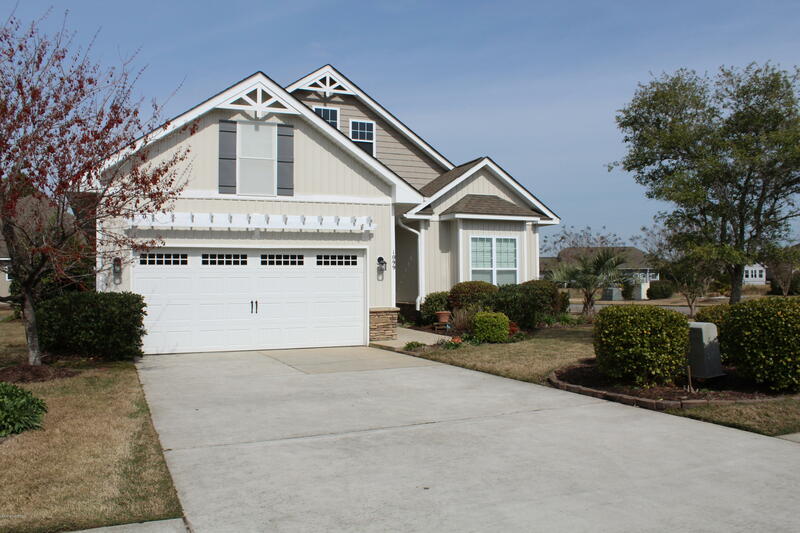 Move in ready - there is a split floor plan, fenced in rear yard, open living and dining area, eat-in kitchen, Carolina Room, Sun Room, Bonus Room over the garage and over 2,050+/- HTSQFT. Some of the features are engineered hardwood floors, upgraded cabinetry, dual fireplace with gas logs, crown molding, S/S appliances, Pergola, recessed lighting, granite counters, lots of cabinets and a zero entry shower in the Owners Suite. Enjoy the community pool, clubhouse, walking trails, sidewalks, scenic lakes and fitness center. Lawn care is included in the HOA fees. Enjoy easy living in the ever popular neighborhood of Sunset Ridge which is just minutes from the beautiful south Brunswick Island beaches.